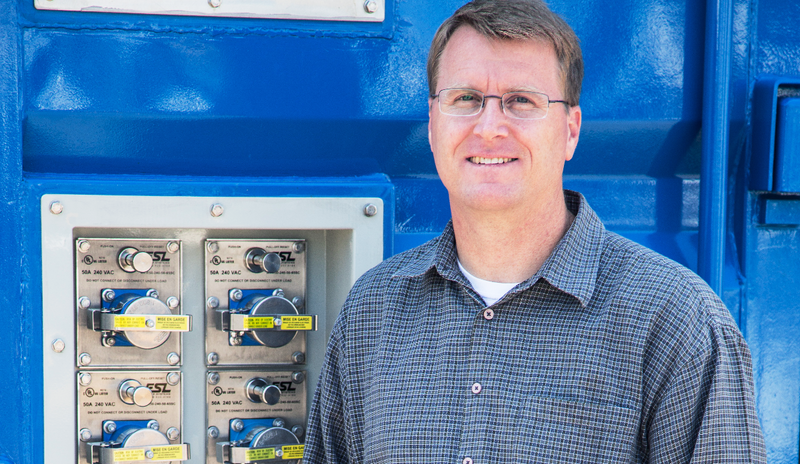 Joe Pratt, CEO of Golden Gate Zero Emission Marine, co-founded the company and has built the first hydrogen fuel cell vessel in North America — eliminating the need of diesel or bunker fuel to power marine transportation. The environmental implications of developing this technology for larger scale commercial transport are wide. Pratt took a moment to update the Nasdaq Entrepreneurial Center on his journey as a founder so far. JP: Entrepreneurship is the creation of a successful business from a concept. Coming from an engineering background, I see a lot of similarity to the engineering process, but the outcome is a revenue-generating entity rather than a product or piece of technology. How did your company come to be? JP: The company really materialized when we were awarded the $3M grant from the California Climate Investments program to build the first hydrogen fuel cell vessel in North America. As a concept, my company Golden Gate Zero Emission Marine (GGZEM) was born when Thomas Escher, owner of the Red and White Fleet, came to me while I was working with Sandia National Laboratories and said he wanted to build 100% zero pollution tour boats for his ferry business. His ask launched several studies to see what was possible and how it could be done. The idea to start a company really started forming when, during that work, I found many other marine operators of all kinds of vessels reaching for the same solution but not knowing where to turn. What is the biggest experience or lesson gained on your journey so far? JP: Starting a business is much more like a marathon than a sprint. Though there’s a lot to do and things often take longer than you expect them to, it’s one of the most rewarding experiences I’ve encountered. JP: There’s no reason why the marine industry has to continue to use diesel or bunker fuel, and we are creating that alternative pathway. We provide a solution for marine operators who want to give their customers and passengers a better experience, which includes on-board comfort, environmental sustainability, and also provide a long-term flexible solution to keep up with environmental regulations. Early adopters know they are gaining a competitive advantage. We’re starting out in the passenger vessel industry but our technology is scalable to any marine vessel, and we plan to expand into other verticals including tugs, offshore supply and crew boats, small cruise ships, and eventually large cruise and container ships. JP: There are things I know now that had I known them earlier would have saved time, like the knowledge and effort that goes into fundraising. But there’s value in being new and not knowing – sometimes you come up with creative solutions that nobody has tried before. I believe the most important thing for someone thinking about entrepreneurship is to stop thinking about it and do it. Don’t be intimidated by everything you don’t know or you will never get started. “Start Small Finish Big” by Fred DeLuca (co-founder of Subway), tells many stories of how new entrepreneurs with very little experience – including him – started and now run successful companies. Those stories are an inspiration to me. So no, I wouldn’t have done anything differently. I jumped into entrepreneurship and figured things out along the way. Though it certainly was not the most efficient way I think it was the necessary path for me to take in order to grow. What credo do you live by as you grow the business? JP: Be comfortable with uncertainty, trust your instincts, be fair to people, and do the right thing. (1) You know more people than you think you do. Think about your friends, coworkers, family friends, past colleagues. Think about the gaps in your knowledge and experience. Is it the technical side? Business side? Start a conversation with those that you feel most comfortable with about these issues and branch out from there. It will get easier and less intimidating. (2) Try to find someone who’s had some experience with starting up a business and fundraising. If you try your network and nothing fits, try a local incubator, or even a co-working space – those places sometimes have functions to help those starting up. For example, you can check out SCORE – that’s an SBA-supported organization that offers tons of business classes for startups and free one-on-one mentoring with volunteer executives. (3) Find people who will be your cheerleaders. This is just as important as the other roles – when the chips are down you will want to grab a coffee with your supporters to get you motivated again. I’m lucky to be surrounded not only by family and friends who are very supportive but the whole GGZEM team as well, none more so than co-founder Tom Escher – no matter what’s going on, a 2-minute conversation with him will get me feeling like a million bucks again. (4) Try to date, not marry. Especially with people you don’t know. Give equity only to those you really trust and believe in what you are trying to accomplish. Remember the four levels of relationships. The 4th level is those based on rules, such as a business contract. The 3rd level is based on common material interest, such as desire to make a profit. The 2nd level is one based on a common belief, like the need to eliminate air pollution. The 1st level is one of fraternal loyalty. In my opinion you should never have anyone lower than level 2 on your core team, and strive for as close as you can to level 1. JP: It’s really important for me to have a central personal belief, a mission statement that I turn to. This belief is an anchor point that underlies the whole reason for starting a company, and is more important than the business itself. It will serve as your compass and keep you motivated to continue working even when it seems like nothing is going right. My mission is to stop air pollution. We know it’s important to do this, and we have the technology to do so. Through our first project, the Water-Go-Round ferry, we will prove this to the world. With our business, GGZEM, marine owners and operators finally have a solution provider to turn to. Our ultimate goal of stopping air pollution, getting our skies blue again and keeping ourselves and our families safe from its devastating effects, is the central inspiration I turn to. What does “success” look like for you? business is profitable but uses unethical or unfair behavior, or requires so much work from employees that they don’t get to spend time with their friends and families, then it is not a success. I achieve this standard of success by setting this definition up front and making it a part of my core decision-making process. JP: Early in the fundraising process I met with one of our advisors to revise our business pitch to investors. By the time we were done, our message had evolved from one that was 90% about protecting the environment to one that was 90% about how much money could be made. It was a very exciting message from a business point of view, but at the same time, I was startled by the cold realization that a large part of being an entrepreneur is simply about making money for your shareholders. That was a growth moment for me. The good news is I quickly realized I can both build a business that is a fantastic financial success while changing the planet for the better. Even if I have to emphasize the economic side over the environmental one when talking with people, I know I am staying true to my mission and on the path to facilitate a healthier planet. My proudest moment is not a single moment but rather an accomplishment. I’m extremely grateful of the core team we’ve put together, which includes my co-founders and advisors. We are working towards the same goal and believe in the benefit of what we are doing. We also have a fantastic wealth of knowledge about all aspects of the business, our customers, and our technology. It’s a great feeling to know their combined motivation and capability is the engine of the company. What lesson did 2017 have for you? What do you look forward to in 2018? JP: In 2017 GGZEM was still just a concept. My biggest lesson from 2018 is to believe. Believe in the reason I started this company, and believe that I have the ability to make the best decisions. I expect 2019 to look very different than 2018. I think we’ll look back on 2018 as the year of starting up, getting our feet under us, creating something from an idea, and 2019 will be the year of producing and delivering on the vision. Many entrepreneurs continue to perfect their daily routines to support their work and greater vision; would you mind sharing your morning routine or a regular ritual that grounds your work each day? JP: I don’t have a daily routine. I try to work during work hours and stay grounded with what’s really important – my family – the rest of the time. I prefer variety. Somedays I’ll be heads down on the computer, others I’ll meet a friend for lunch or be in the city for meetings. There are a couple things I try to remember. One is something I read attributed to Mark Twain: “Eat the frog,” which means tackle the most onerous task of the day first — before you start anything else. That’s hard to do with emails and everything, but it works, because otherwise, you keep putting it off. Another, is that I somehow get the clearest and best ideas when I step away from the desk and shoot hoops in the backyard for 10 minutes. JP: Dr. Martin Luther King Jr. said, “There comes a time when one must take a position that is neither safe nor politic nor popular, but he must take it because his conscience tells him it is right.” Nothing I’m doing here can compare to what Dr. King was talking about, but the statement resonates with me. I’m doing what my conscience says is the right thing, and if I could give people one impression about me it would be that I didn’t waver from that.